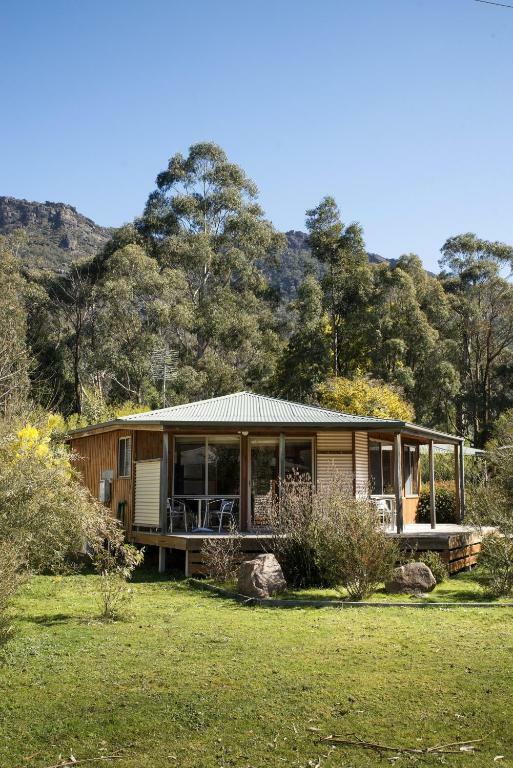 Each of these chalets features timber ceilings, a modern kitchen, polished wooden floors and a spacious living area that leads out to a wide veranda, where you can watch kangaroos and deer wander past. 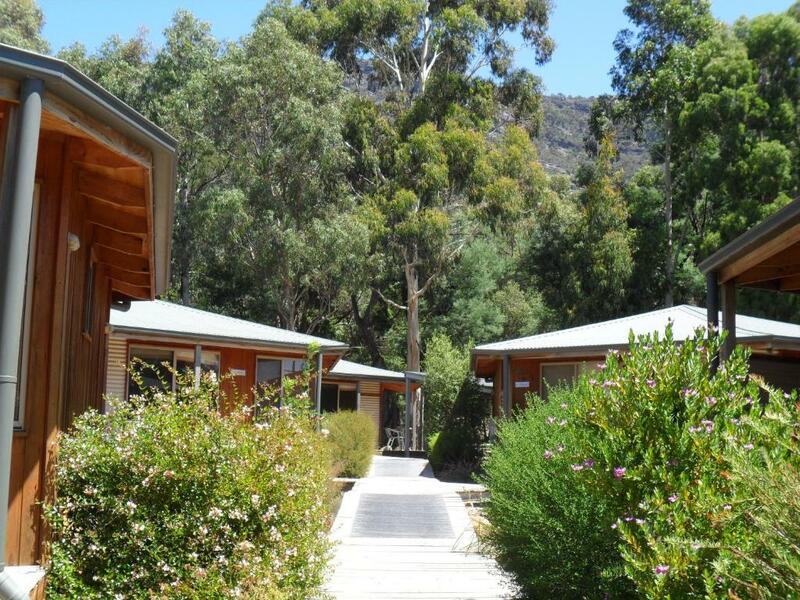 The Grampians Chalets are set on 2. 5 acres with panoramic views of the Mount William and Wonderland Ranges. The shops and restaurants of Halls Gap town centre are 15 minutes’ walk away. All chalets include a kitchenette with dishwasher, refrigerator, microwave and stove. Each has a spacious lounge and dining area with flat-screen TV with satellite channels and a DVD/CD player. Each chalet has a terrace with outdoor seating and views over the garden and mountains. Free WiFi, cable channels and electric blankets are provided, along with bed linen and towels. 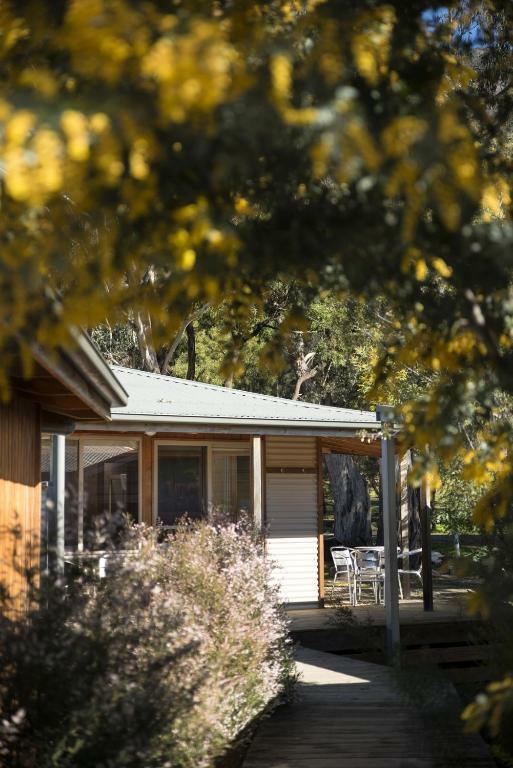 Guests at Grampians Chalets Halls Gap have access to a shared BBQ area and laundry facilities. Παρακαλείστε να ενημερώσετε το Grampians Chalets εκ των προτέρων σχετικά με την αναμενόμενη ώρα άφιξής σας. Μπορείτε να χρησιμοποιήσετε το πεδίο για Ειδικά Αιτήματα κατά την κράτηση, ή να επικοινωνήσετε απευθείας με το κατάλυμα, στα στοιχεία επικοινωνίας που αναγράφονται στην επιβεβαίωσή σας. Please note that Grampian Chalets does not accept payments with American Express credit cards. Please note the chalets are to be left tidy with dirty dishes put in the dishwasher on departure. If additional cleaning is required, extra charges will apply. If you have a valid Australian contact phone number, please let the property know this number, prior to arrival. This property is not suitable for children under the age of 10. This open-plan chalet features a fully equipped kitchen with a dining table and chairs, dishwasher, microwave, refrigerator and stovetop. The lounge area has a sofa, flat-screen satellite TV and DVD player. The spa bath is located next to the bathroom. The balcony has an outdoor seating area with views over the garden, lake and mountains. Please note that children can not be accommodated in this room type. The chalet comprises of 1 bedroom with a queen bed and it has a kitchen with a 4 burner stove-top, microwave and dishwasher. it has reverse cycle air-conditioning, small corner spa bath and patio with outdoor seating set amongst greenery. This chalet comprises of 2 bedrooms with a queen bed and double bed. It has a kitchen with a 4 burner stovetop, microwave and dishwasher. It has reverse cycle air-conditioning, small corner spa bath and patio with outdoor seating set amongst greenery. Οι εμπειρίες σας βοηθούν πολύ άλλους ταξιδιώτες. Βαθμολογήστε στην κλίμακα 1 - 5 τον εξοπλισμό που χρησιμοποιήσατε κατά τη διαμονή σας στο ξενοδοχείο Grampians Chalets και εκφράστε τη γνώμη σας. Η γνώμη σας είναι σημαντική! Βεβαιώνω ότι αυτή η κριτική βασίζεται στην προσωπική μου εμπειρία, ότι είναι η ειλικρινής άποψή μου για αυτό το ξενοδοχείο (Grampians Chalets) και ότι δεν έχω καμία προσωπική ή επαγγελματική σχέση με τη συγκεκριμένη επιχείρηση ούτε μου έχει προσφερθεί κάποιο κίνητρο ή αμοιβή για να γράψω αυτήν την κριτική.